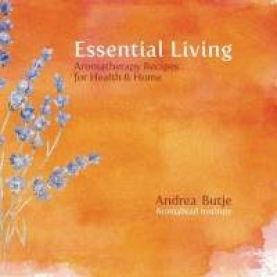 Andrea brings the therapeutic use of essential oils to your home in Essential Living. Her easy-to-follow recipes teach beginners and experts alike how to create natural, safe products to replace synthetic chemicals and toxic ingredients found in many store brands. With a modest collection of essential oils and tools from around the kitchen, learn how to create cleaning scrubs, natural air fresheners and healthy body products. Neatly organized by room and purpose, these recipes give readers the power to replace unwanted chemicals with handmade, effective, aromatic products.